The first treatment, which was comparable to Nature-Throid for hypothyroidism, came in the United Kingdom in 1891. An Englishman by the name of George Redmayne Murray used a mixture of thyroid extract and myxedema. Almost thirty years later, Murray published a medical write-up of the use of this substance on the same patient he used it on in 1891. In America, the first use of thyroid extract was also used in 1891 by a woman who continued to use it for the next 50 plus years effectively. Natural Desiccated Dried Thyroid is generic name for brand name, Nature-Throid. This drug is a thyroid hormone that is made from an animal’s thyroid gland. By providing more hormone levels to the body, the thyroid can run like it normally should. 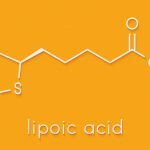 This drug has been around for over a century and continues to be regulated by the Food and Drug Administration (FDA) with positive results. This medication is used because a low level of the thyroid hormone can hinder the body. A lower hormone level can exist in a few ways: naturally (a deficiency in the body), or from an injury (using medication, radiation during cancer treatment, or when removed during surgery). Symptoms from hypothyroidism may include weight gain, a slower heartbeat, always shivering and feeling cold, constipation, and muscle aches. Without constant hormone production and synthesis from the thyroid gland, the way you are physical active and mental sound might change for the worst. If a child has low levels coming from the thyroid gland, they may be stunted physically and mental as their body develops. It is paramount that a solution treats this issue immediately for best results with a child. If not, they may struggle their entire life. 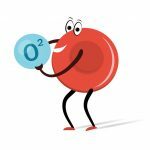 Since the thyroid gland’s responsibility is to regulate a normal amount of metabolism and energy in the body, Nature-Throid can help with any irregularities when the thyroid is not producing enough of the appropriate hormone. The substance’s job is to treat hypothyroidism or to prevent issues like goiter, which is when the thyroid gland is enlarged too much in the body and causing a lot of unnatural issues. Throat cancer can be treated by Nature-Throid as well. 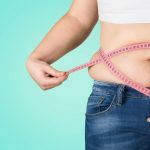 Nature-Throid is not usually used if someone is looking to lose weight or treat something worse, like obesity. This medicine can’t be used when a patient is diagnosed with thyrotoxicosis, which has more to do with an adrenal gland issue. If a patient is dealing with infertility, this drug will not help the issue, and could cause more issues to the body that could keep someone infertile forever. Talk to your doctor to see if there are other reasons why this substance should not be taken. When taking Nature-Throid, it can be consumed by swallowing. Usually, you must take the medication before breakfast, when you have not eaten anything that day. You will not be able to eat breakfast until 30 minutes to an hour after medication has been consumed, or risk absorption difficulties. Your dosage depends on what your doctor feels is the appropriate amount for the existing condition. The dosage may vary based on factors such as age, weight, testing, and how well the patient has reacted to the medication in prior experiences. At times, your doctor may change the dosage for best results. For best result, take this medication on-time. This will bring about the best benefit for you. If you need help remembering when to take Nature-Throid, pick a time every day to keep you on track (ex. 6:30 a.m.). Also, keep the medicine away from moisture and heat. This will keep the medication working the best. If you miss a dose of Nature-Throid, take the medication as soon as you remember. However, if it almost time for your next dose, don’t take another dose; just take the dose at the scheduled time. At this point, do not take more doses to make up for the one you forgot. If you ever take more than you should and overdose, you must go to the emergency room immediately. Also, you can call 1-800-222-1222, which is the Poison Help Line. Lastly, stopping Nature-Throid could really put your body at risk, so talk to your doctor if you want to change or stop this medication. Nature-Throid works by implementing more hormones into the body to the help the thyroid gland out, similar to how Armour Thyroid works. To make sure the correct number of hormones enter your body, follow all the appropriate directions, so you will not be mishandling the medication. Never use the medication in larger or smaller amounts, unless your doctor says so. Also, for the medication to work, you must continue to take it, even when you feel better. The effects of the medication will stop working, if you don’t continue taking it. In some cases, the medication will need to be taken for the rest of a patient’s life. Some medications have a negative reaction when you take them alongside Nature-Throid. If medications like Prevalite, Questran, and Colestid are taken, separate them from Nature-Throid for at least 4 hours. Antacids are another medicine that should not be taken until 4 hours have passed from taking Nature-Throid. Antacids actually make it hard for the Nature-Throid to enter in the bloodstream of your body. Other drugs that may negatively affect the body, when paired with Nature-Throid, include birth control, blood thinners, diabetes medication, aspirin, cramp medication, and steroids. Other things that may counteract with Nature-Throid involve over-the-counter products like vitamins, minerals, medicines, and herbal remedies like calcium and iron. These interactions can dilute Nature-Throid from working at its best. Tell you doctor what you are taking presently to see if they will get in the way of taking Nature-Throid. Lastly, never continue taking Nature-Throid if you ever need surgery. You may have to be off the medication while your heal from your medical procedure. Before taking Nature-Throid talk to your doctor about the side effects that could occur in the body. If you have pre-existing medical conditions, like coronary artery disease, congestive heart failure, diabetes, and/or heart disease, you may not be well enough to take this medication. Also, if you are pregnant or are nursing, your dosage may look different if you are taking Nature-Throid. Some doctors may steer completely away from this prescription, while others might just lower the dosage. In some cases, the drug can get into the breast milk and pass to the baby. Still, most doctors agree that it will not have an effect on the baby, but your doctor should still be aware if you are breast feeding. Nature-Throid can bring about some side effects with its patients. For example, allergic reactions to this prescription can result in a medical emergency. 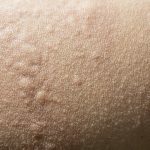 This may include swelling of the body, difficulty breathing, and hives that show up, too. Specifically, in children, they may see hair loss when taking this drug. When taking oral capsules, patients have seen effects to their system such as varying appetite levels, diarrhea, a fever, cramping, nervousness, sweating, an irregular heartbeat, tremors of the hands and feet, sensitivity to heat, vomiting, and weight loss to name a few. An overdose of this drug, which causes toxicity to humans, should immediately be discontinued until the body returns back to normal. This process could take 6 to 8 weeks of time to fully recover. Other side effects may occur, but the ones above are the most prevalent. Always call you doctor if you are dealing with side effects from Nature-Throid. Also, you can report any side effects to the FDA by calling this number: 1-800-FDA-1088. 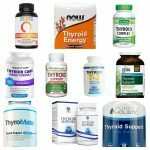 Desiccated thyroid medication has been on the market a lot longer than any other thyroid replacement, and has proven its effectiveness year after year. However, starting in the 1950s, a new drug entered the market called synthetic thyroxine. Because this drug was new and exciting in the world of modern medicine, desiccated thyroid was pushed to the back-burner. 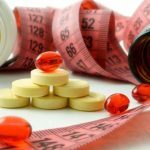 Many doctors started choosing synthetic thyroxine over desiccated thyroid medication because they consider the long-used drug old-fashioned, even without seeing the long-term effects synthetic thyroxine would have on the human body. Synthetic thyroid medication became very profitable in the process. Synthroid, a major brand for synthetic thyroid medication, puts on golf outings and sponsorships with major business partners to market and keep their drug on top. 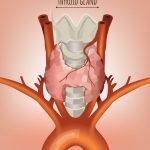 Since the 1950s, doctors have even been trained that synthetic thyroid medication is the best and only choice, due to the fact that Synthroid now has a monopoly on the market. Even though desiccated thyroid is still available for doctors to use on patients as a safe and ethical way to treat thyroid issues, it is being ignored. Some stereotypes of Natural-Throid have been a belief that getting the drug is too difficult when prescribing it to a patient. Unfortunately, this gossip has come from marketers of synthetic thyroid medication and doctors to discourage buying their competitor’s product. Osteopath and Endocrinologist Thomas Repas wrote an article entitled Desiccated thyroid in the management of hypothyroidism. He continued to express that desiccated thyroid medication was made differently each batch, so the results are never consistent patient to patient, and it was an “unacceptable” medication to take. Furthermore, Repas concluded that desiccated thyroid drugs would only gain popularity again because of “natural approaches” where people would be misinformed and uneducated. Ultimately, Repas believed science would tell the story of which drug was better, and synthetic thyroid medications would win every time. Even with the pushback, Nature-Throid started to see a boom of their product in the 1990s, as natural medication was placed back in the forefront of medicine. There are studies that show some patients feel far better on natural desiccated thyroid than levothyroxine or similar synthetic drugs. Still, synthetic thyroid medications, like Synthroid or Cytomel, account for 30 million dollars a year, while desiccated thyroid drugs only make a few million per year. We don’t sell anything on this website, Dorothy. We just try to provide good, accurate information. My gynecologist said my thyroid is too low so to quit taking my thyroid medication completely and see an endocrinologist. I haven’t been able to get an appointment yet. She said since we are trying to have a baby, and it has to be at a normal level to get pregnant. It has been almost 2 weeks since I had any medication. 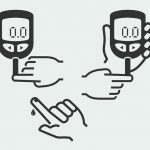 How long should it take to get all the medication out of my system?